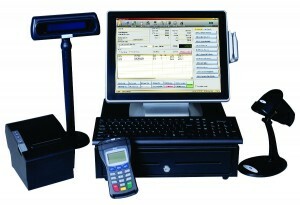 Harbortouch offers a full-featured POS system without hassle or high cost. By removing the cost barrier and simplifying the process you can easily transition from your current transaction terminal to a state of the art touch-screen POS system that will streamline your business operations and automate your daily management activities. Harbortouch offers countless time and money saving features that allow you to focus on what’s important; keeping your customers satisfied and spending at your establishment. As a retailer your familiar with the problems of inventory not matching tallies, sales that go unrecorded and staff that spends far too much time chasing mistakes instead of taking care of your customers. A POS system records sales as they occur and solves a variety of operational and record keeping headaches including shrinkage, price adjustments and product promotions. Remote access allows the business owner to monitor control over one or multiple locations in real time; prepare payroll, simplify bookkeeping and streamline daily operations including profit and loss statements, sales tax and staffing needs.. The high volume of cash and credit cards that pass though a restaurant each day make a POS system a necessity that saves both Time and Money with a rich set of features that include managing orders more effectively and maintaining your menu in real time. Servers are accountable for every sale making it impossible to alter checks without the appropriate password access, cutting down on employee theft. POS Systems also simplify communications between the kitchen, bar and wait staff sending orders directly to the appropriate printer or monitor and tracking everything from food and liquor usage to the most popular items sold. It has never been easier to take advantage of a point of sale system. Harbortouch offers a full-featured POS system without all the hassle or high cost. Accept cash, checks, credit/debit cards directly though your POS system, reporting functionality allows for a top-level view of your business while reducing account and bookkeeping expenses. Store customer information and track order history. Support multiple phone numbers and addresses for one customer record. (cell phone, home phone, business). A built-in time clock to manage employee schedules and productivity. Employees can have multiple jobs with different pay rates. Keep your information safe with customizable permissions by job type and enjoy onsite installation and exceptional 24/7 support. Driver dispatch and control, set delivery charges by geographic zone. Advanced mapping functionality for delivers orders allows you to print directions right on the receipt. Call or send us your contact information today for a free demo of our Harbortouch Point of Sale Solution.